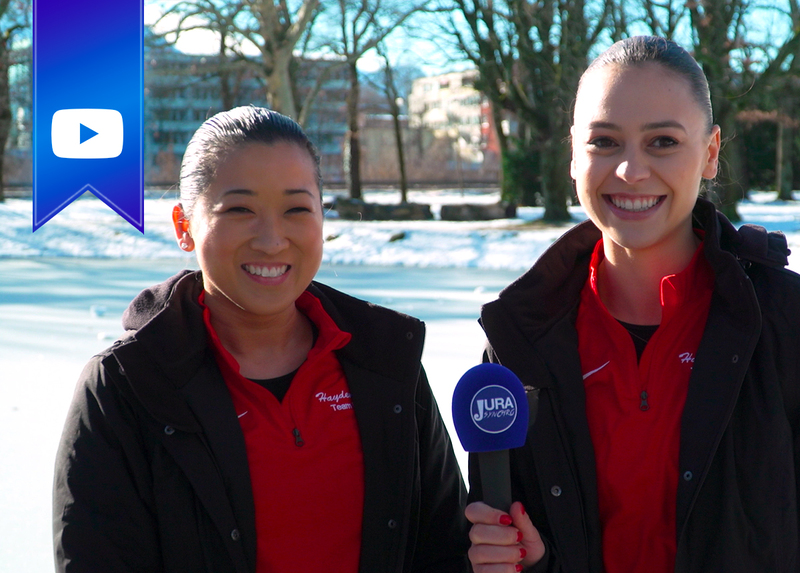 The most successful U.S. synchronized skating team, the national champion Team Haydenettes did a special kind of interview. It’s a quick-response word game. We gave them two words, and they had to choose one of them quickly. 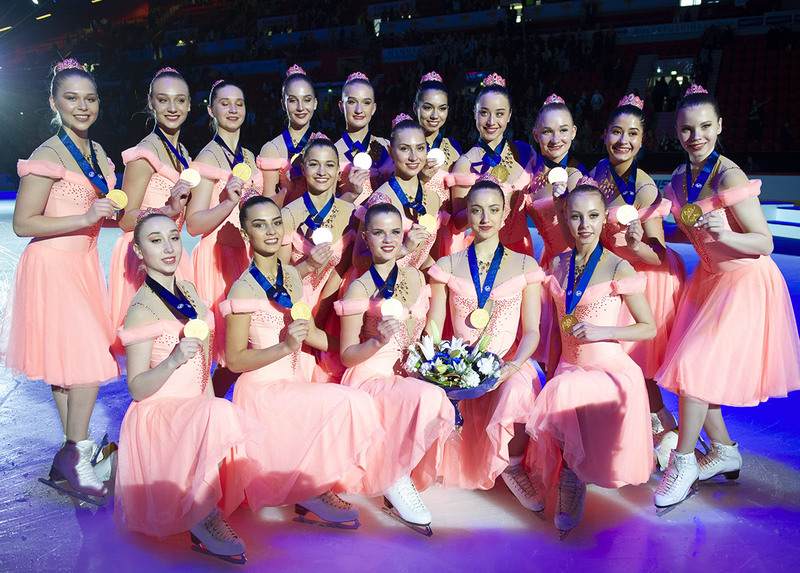 Marigold IceUnity from Finland are the 2018 World Champions and are also qualified for the 2019 ISU World Synchronized Skating Championships in a few weeks. To know better the team captains, we propose you today a new video! 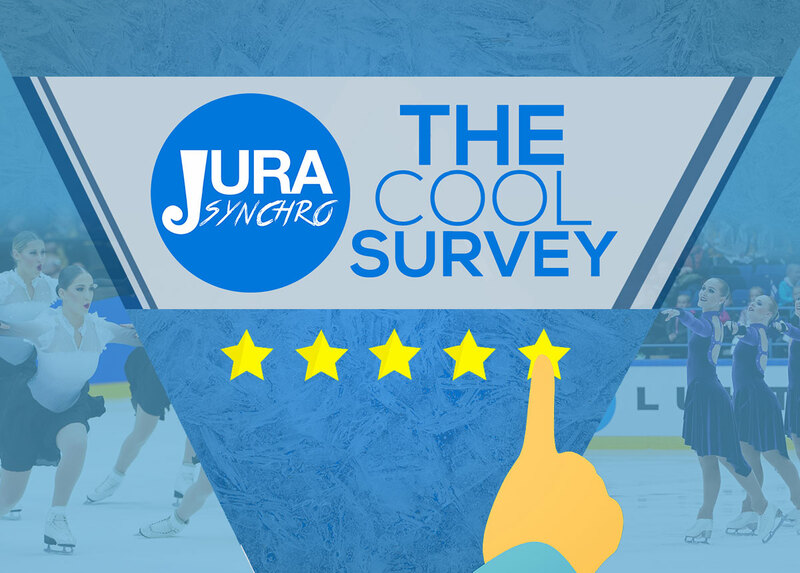 The New Year countdown is over, the glasses of champagne are empty and even if the table in the living room is still in disorder, Jura Synchro reviews the highlights of this past year, the future projects and also our good resolutions. 3... 2... 1... Happy New Year! After launching this summer third version of JuraSynchro.com, it is with great pleasure that we present a new feature on the website. Since this weekend a "Market" section has appeared. 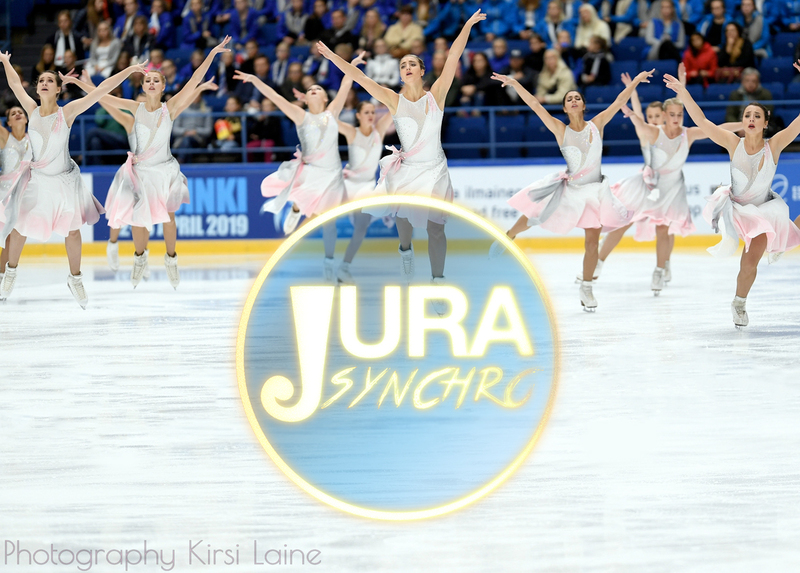 Overview of this new step forward for the Jura Synchro's team. JURA SYNCHRO HAS A NEW WEBSITE! The Jura Synchro team is proud to present version 3 of its website. Beautiful novelties are to discover, have fun! Jura Synchro: Holidays are behind us! 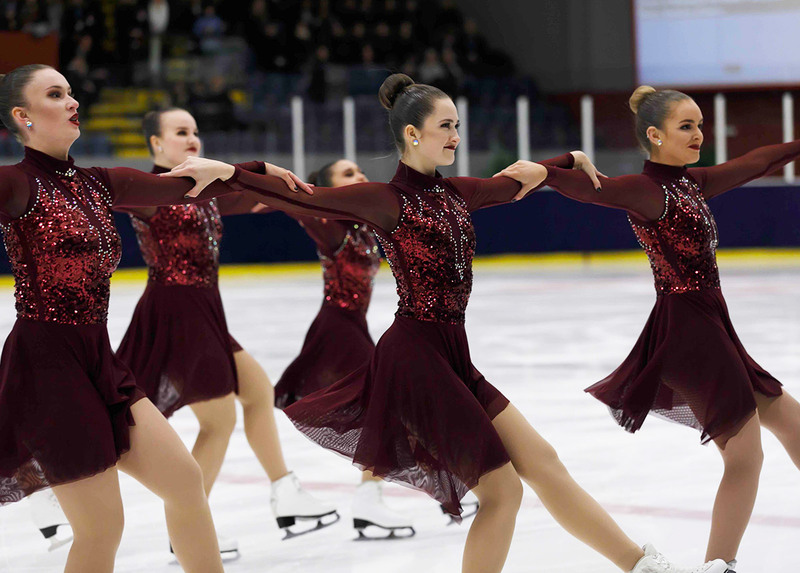 For many teams, the new season often means new music, new costumes and of course new programs. This year, Jura Synchro does the same. 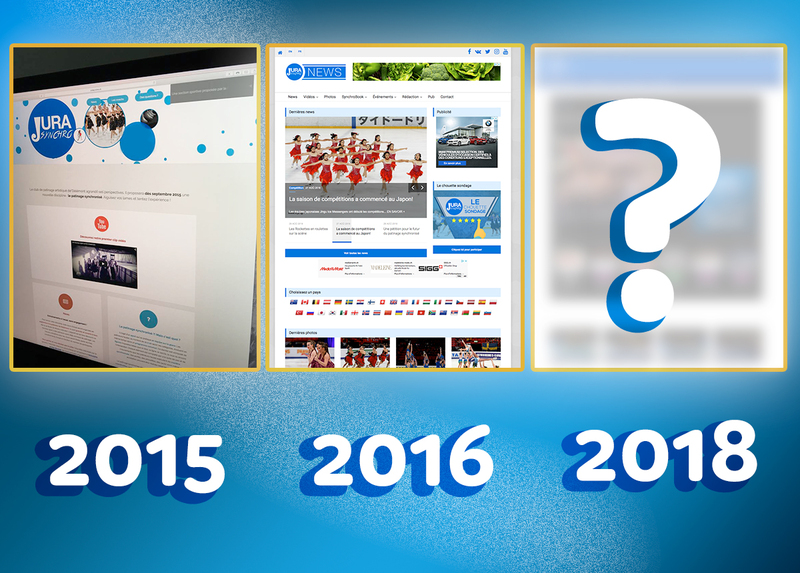 For the 2018/2019 season, we offer you a brand new website that will be unveiled this Sunday. 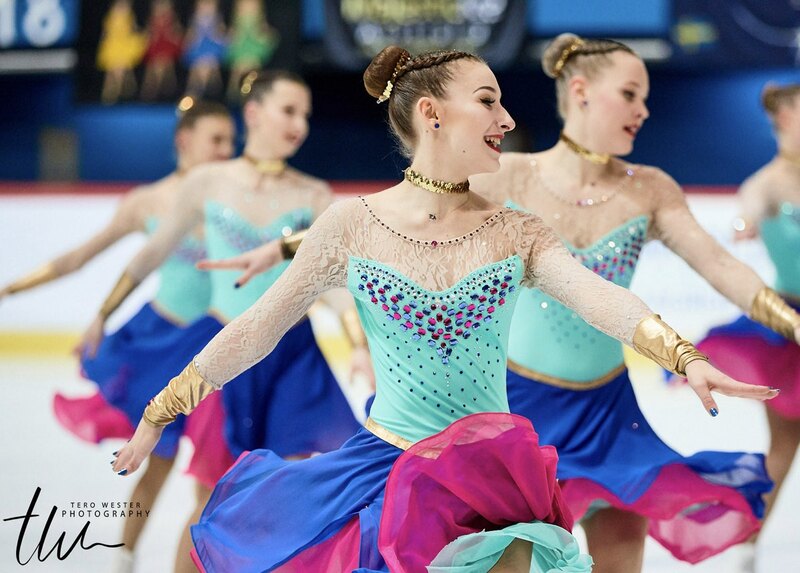 The ISU Junior World Synchronized Skating Championships ended a week ago in Croatia. Our photographer Tero Wester photographed this competition with very beautiful shots to discover now. Hello, do you have 2 minutes? While the synchronized skating season is in full swing, it is already time for the Jura Synchro team to think about the summer. 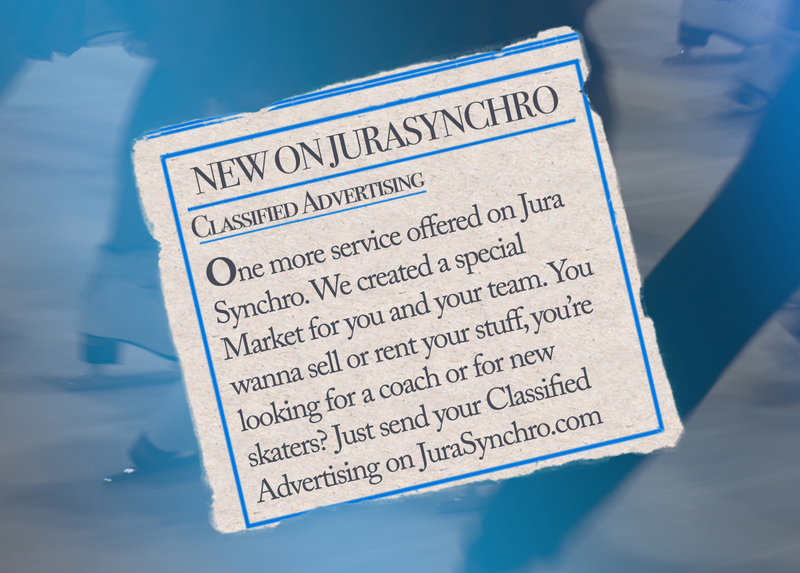 Renovations, cleanings, improvements... they are many projects for JuraSynchro.com and you can even participate and give ideas! It’s already the end of the Team Place and Jura Synchro’s contest. Since last week, you’ve had the opportunity to win new tops for you and all your teammates. Discover now the name of the winner selected by a random draw. You live in the United States, you are a big synchro skating fan and you like journalism and writing? 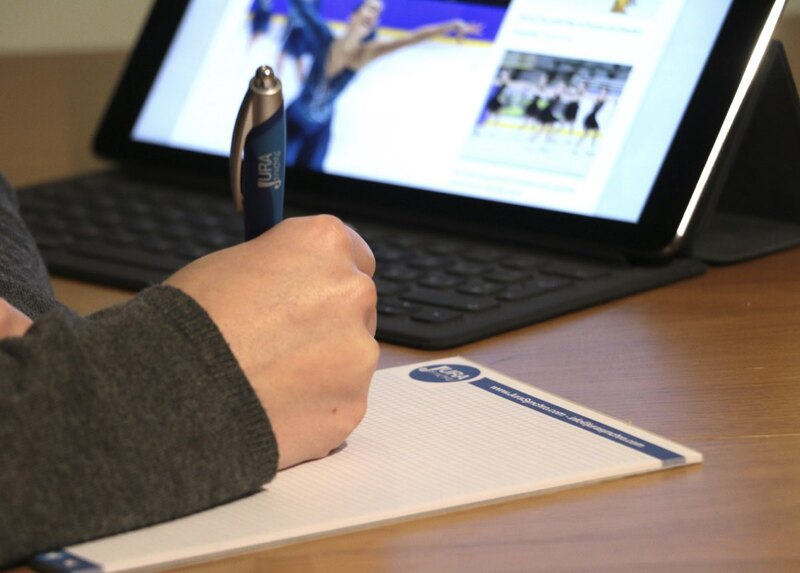 Try your luck to become a correspondent for the USA and enter in the Jura Synchro newsroom.